Don’t have Halloween plans yet? You do now! Join us in Glamis, California for Camp RZR, the ultimate dunes party. 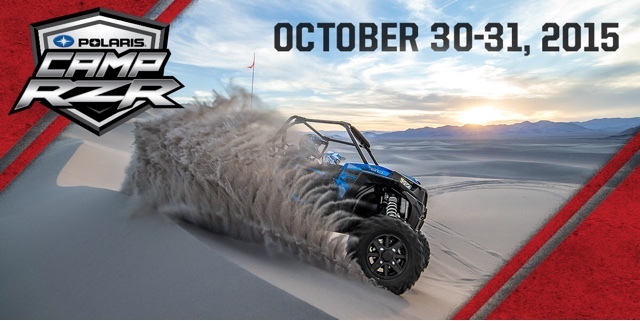 With over $200K in prizes up for grabs including four of the all-new 2016 RZRXP® Turbo models, Camp RZR Glamis is something you don’t want to miss! Camp RZR is conveniently located next to the Glamis Beach Store in Glamis, CA. Join us for the biggest party in the sand! Click here for directions to the Glamis Beach Store.